After being provided with Griffin’s Beacon, it has been a week full of adding devices and adjusting button layouts to control numerous devices throughout my living room. 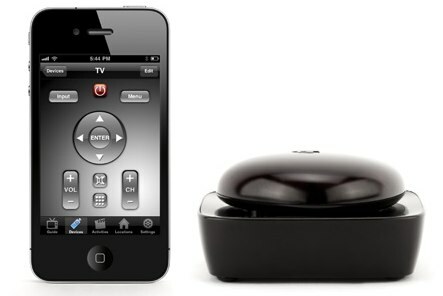 The Beacon is a personal media assistant that connects you and your Apple or Android devices to just about anything in your living room. This connection is brought together by Dijit, a free downloadable app with a laundry list of capabilities. The Beacon does not physically attach to your phone by way of dongle, but by Bluetooth, you connect the wireless device to a small box that relays the signal. 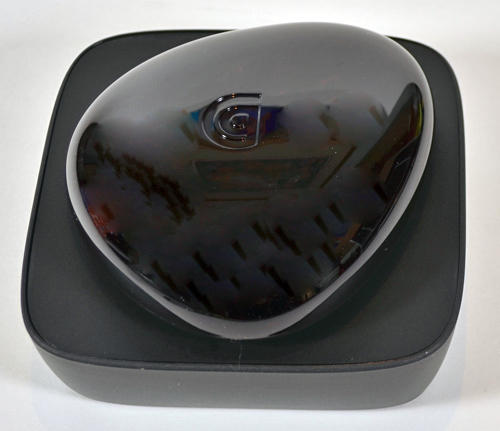 It is hard to find a remote that handles absolutely everything you have connected media wise in your living room but let see if the Beacon is up to the challenge. It seems everyone has a handful of devices these days, it is no longer TV, DVD, and Receiver, there is Tivo, and Apple TV, and gaming consoles, oh my. Most of us have also had one remote that has disappeared, stopped working, or been eaten by a dog. 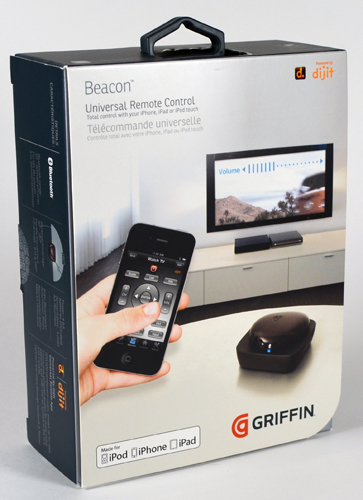 Griffin has been listening to someone because the Beacon does exactly what we all hoped for, one remote. This remote is always on your persons, you just need to make sure that the beacon device has a visible line of site to your devices. The app used on your phone or tablet, dijit, is rather easy to use as it walks you through the setup of all your devices, without codes or pointing two remotes at each other exactly three inches apart, standing on one leg. Syncing by Bluetooth, programming five remotes, and remapping/renaming buttons took less than a half an hour. The downside to the Beacon were a couple of things, lag between devices and the bugginess of the app and connection. The lag is annoying at firs but after a weekend of usage, you get used to the sensitivity and the delay. One thing that would fix this greatly would be a patch that gives an option for haptic feedback so you can feel when the command is registered. The buggyness issue in which I had with the beacon was mostly with the app and the connectivity between the phone and the beacon. It is hard to tell what is the cause of the issue, but the same simple troubleshooting steps seems to always fix the issue but can not always be performed without having to get up off the couch. In the end, I liked my time spent with Griffin’s Beacon. 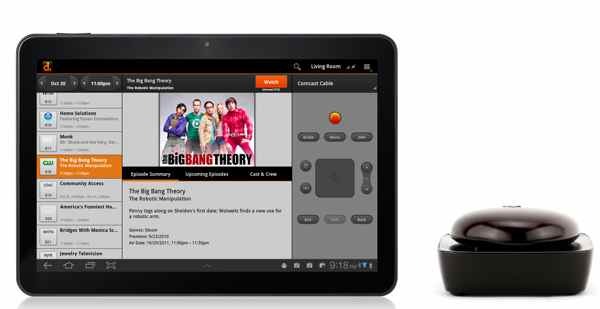 It is convenient to use your phone and/or tablet to control all of your multimedia devices. Unfortunately there are some devices in which are not compatible, my Sony sound bar being one, and gaming consoles being the other. The devices that do work with the Beacon, work well and like I said you can customize just about any aspect you like, from the buttons onscreen to the type of volume control. Just remember, in order for the beacon to work best, you will need a location in your living room for this four AA battery powered relay the size of about two Apple TV’s stacked on top of each other to have line of sight with each devices’ infrared sensors.